Mike Meyers’ Passport to A+ Certification will prepare you to pass CompTIA’s challenging A+ certification exams. Meyers and Jernigan teach you what you need to know to pass the 220-901 and 220-902 version of the exam, without forcing you to wade through a lot of background material or irrelevant fluff. 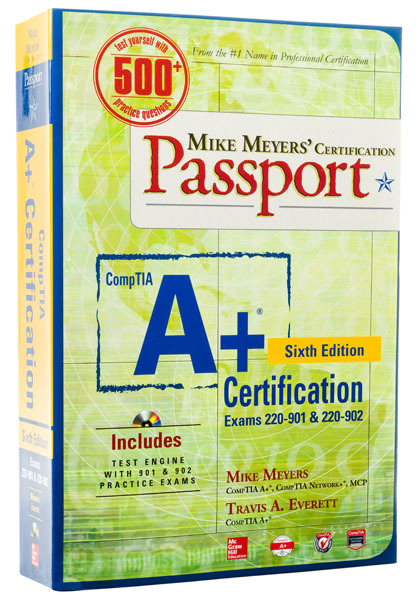 When you’re ready to certify, reach for your Passport!